Having made the decision to go the United States, the family of Johann Conrad Jäger (John Yeager) and Magdalena Spady (Lena Spady) departed from Norka, Russia in April of 1901. 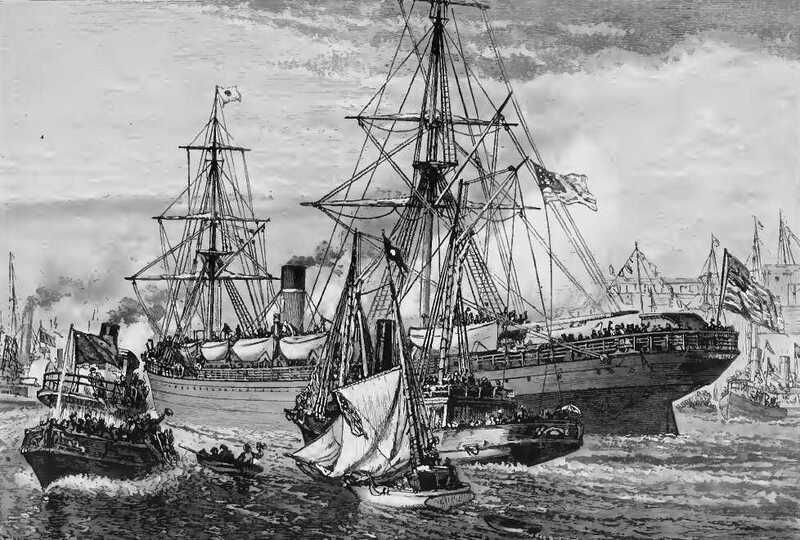 They traveled to the port of Hamburg, Germany where they departed on the steamship Pennsylvania, bound for New York. John and Magdalena arrived with their children; John Henry, Henry and Elizabeth on June 21, 1901. The ship manifest notes that they were going to the home of John Krieger in Portland, Oregon. ​Elizabeth Yeager married Peter Walters and they founded a Portland bakery known as Rotary Bread. Peter was born November 7, 1891 in North Plains, Oregon. His parents, Fred and Katharine Walters were born in Russia and among the early Volga German pioneers in Oregon. Peter opened his first store in 1923 between 3rd and 4th avenues on Yamhill Street at the old Farmer's Market. He continued in operation until his retirement in early 1961 when there were four stores in the Portland area. Peter died in November of the same year and was buried at the Rose City Cemetery. Rotary Bread continued under Peter's son, Edward Peter Walters and his wife, Barbara Jean for another 30 years. 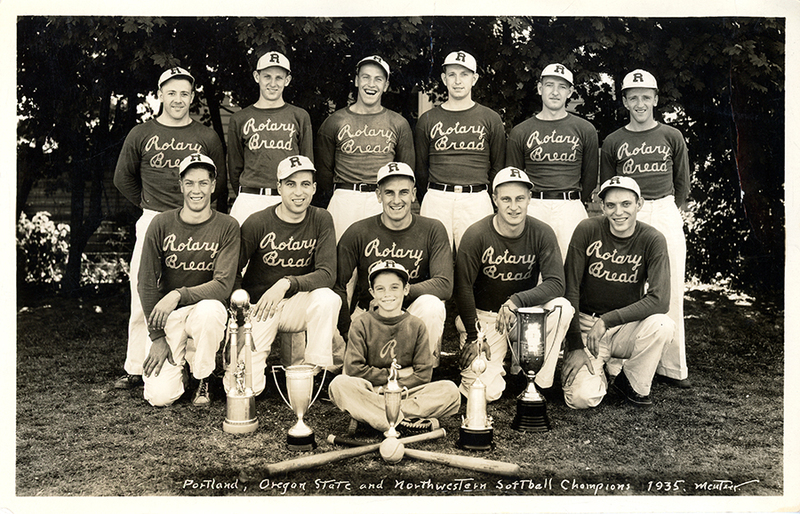 Rotary Bakery sponsored many top level men's softball teams that competed regularly for City of Portland and State championships in the 1930s and 1940s. Their teams featured many all-star players with Volga German ancestry such as Red Smith, Hank Helser, Maury Helser and Roy Helser. Back row from left to right: Hank Helser, Carlie Baum, ?, George "Red" Smith, ?, Harry "Red" Melcher. Front row from left to right: Scotty Laing, Louie Singer, Hank Kohl, ?, Ves Brown. Mascot: Johnny Urbach. Source: Steve Schreiber.